Selected by NASA in 1963 into the third group of astronauts, Aldrin was the first with a doctorate and became known as ‘Dr. Rendezvous’. 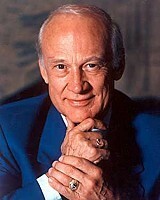 The docking and rendezvous techniques he devised for spacecraft in Earth and lunar orbit became critical to the success of the Gemini and Apollo programs, and are still used today. He also pioneered underwater training techniques, as a substitute for zero gravity flights, to simulate spacewalking. In 1966 on the Gemini 12 orbital mission, Buzz performed the world’s first successful spacewalk, overcoming prior difficulties experienced by Americans and Russians during extra-vehicular activity (EVA), and setting a new EVA record of 5.5 hours. On July 20, 1969, Buzz and Neil Armstrong made their historic Apollo 11 moonwalk, becoming the first two humans to set foot on another world. They spent 21 hours on the lunar surface and returned with 46 pounds of moon rocks. An estimated 600 million people—the world’s largest television audience in history—witnessed this unprecedented heroic endeavor. Sam Burbank is a multiple award-winning filmmaker, writer, and host with over two dozen television productions to his credit. His films, focusing on space science, ecology, and exploration have allowed him to travel the world. 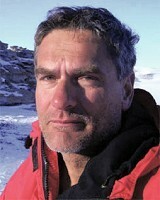 Burbank has joined the Haughton Mars Project for three field seasons on Devon Island, and crewed in the Mars Desert Research Station in 2003, with each stint becoming a program for National Geographic Television. His series The New Race for Space broke the story of the X-Prize nationally. While studying writing at SFSU, Burbank co-founded a championship motorcycle roadracing team. He’s an advanced scuba diver, swing dancer, and loves to cook. Soon after marrying, he and wife Linda rode a motorcycle to the arctic circle. Burbank contributes to numerous space groups, frequently appears as a speaker at science conferences and universities, and is the president of the Association of Mars Explorers, also known as the Mars Club, a group promoting links between explorers of Mars analog environments. Burbank is the founder of Inverse Square Films (www.i2films.com). He lives in San Francisco, California, and Venice, Italy. Award-winning science journalist and space historian Andrew Chaikin has authored books and articles about space exploration and astronomy for more than 25 years. Writer-director and explorer James Cameron (Titanic, Aliens of the Deep) called him “our best historian of the space age.” He is best known as the author of A Man on the Moon: The Voyages of the Apollo Astronauts, widely regarded as the definitive account of the moon missions. The book became the main basis for Tom Hanks’ Emmy-winning HBO miniseries, From the Earth to the Moon. Among his many books is A Passion for Mars, published in 2008, which conveys the human as well as scientific aspects of Mars exploration. Chaikin is a frequent commentator on space on radio and television. He has been an advisor to NASA on space policy and public communications. A former editor of Sky & Telescope magazine, Chaikin has also been a contributing editor of Popular Science and has written for Wired, Newsweek, Air & Space/Smithsonian, World Book Encyclopedia, Scientific American, and other publications. From 1999 to 2001 Chaikin served as Executive Editor for Space and Science at SPACE.com, the essential website for all things space. He was also the editor of SPACE.com’s print magazine, Space Illustrated. 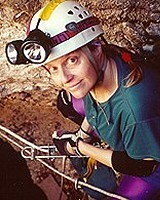 A graduate of Brown University, Chaikin served on the Viking missions to Mars at NASA’s Jet Propulsion Laboratory, and was a researcher at the Smithsonian’s Center for Earth and Planetary Studies before becoming a science journalist in 1980. He is an amateur musician and songwriter; he has also been an occasional space artist, and is one of the founders of the International Association of Astronomical Artists. 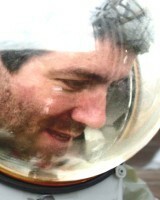 Dr. Christopher P. McKay, Planetary Scientist with the Space Science Division of NASA Ames. Chris received his Ph.D. in AstroGeophysics from the University of Colorado in 1982 and has been a research scientist with the NASA Ames Research Center since that time. His current research focuses on the evolution of the solar system and the origin of life. He is also actively involved in planning for future Mars missions including human exploration. Chris been involved in research in Mars-like environments on Earth, traveling to the Antarctic dry valleys, Siberia, the Canadian Arctic, and the Atacama & Sahara deserts to study life in these Mars-like environments. He was a co-Investigator on the Huygens probe to Saturn’s moon Titan in 2005, the Mars Phoenix lander mission in 2008, and the Mars Science Laboratory mission for 2011. Miles O’Brien is a 26-year broadcast news veteran who has successfully melded a talent for telling complex stories in accessible terms with a lifelong passion for aviation, space and technology. Since leaving CNN Miles has been involved with Space Flight Now streaming live webcasts of the remaining shuttle launches. For nearly 17 years he worked as a correspondent, anchor and producer for CNN based in Atlanta and New York. At various times he was CNN’s science, space, aviation, technology and environment correspondent. 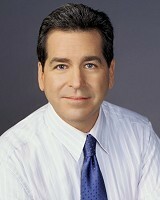 O’Brien may be best known for his coverage of the US space program. In February of 2003, he led the network’s acclaimed coverage of the loss of the Space Shuttle Columbia. He was on the air live for 16 solid hours helping guide a shocked and saddened country through a national tragedy. 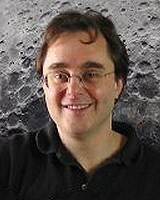 O’Brien has covered every major space story in the past seventeen years: the repair missions to the Hubble Space Telescope; the shuttle dockings at Mir; the launch of the first space station crew from Kazakhstan; several robotic landings on Mars and the private sector endeavors of Burt Rutan and others.